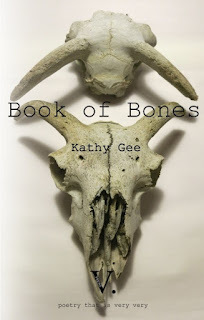 V. Press is very delighted to announce the publication of Book of Bones, a debut poetry collection from Kathy Gee. Kathy will be launching Book of Bones at Avoncroft Museum of Buildings, near Bromsgrove on Friday, May 6th 2016. The event, which includes readings from other local poets, is free and open to the public but by ticket only. Anyone interested interested in attending should email V. Press, on vpresspoetry@hotmail.com, ASAP as only a few tickets now remain. The open air museum's grounds will be open from 6pm (although the house interiors won't) and those attending the launch will be welcome to look around the wonderful historic collection with a glass in hand. The launch reading begin in the Long Room of the String of Horses at 7pm. the weight of hours in a draughty loft. and sunlight falls on a chequered floor. discovered there is evil in the world. a birthday moment of normality. How old are you, Olive? says Nurse. I’m sixty eight the wheelchair says. Oh bless her, she means eighty six. And how many children, Olive? three they smile in unison. No, four... I had four. 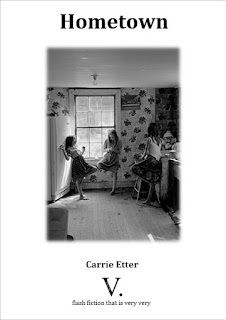 V. Press is very proud to announce the publication of our first flash fiction pamphlet - Carrie Etter's Hometown. Carrie will be launching Hometown in a free reading in Bath on 19 April. The event, 'Poetry & Fiction from Six Awesome Women', takes place at St James Wine Vaults,10 St James's Street, Bath, BA1 2TW from 18:30-20:00. More details about this event can be found here. To mark the launch of Carrie Etter's Hometown, V. Press is also very pleased to announce the dates for this year's submissions window: June/July 2016. This year we will be open for the first time to submissions for flash fiction pamphlets, as well as poetry pamphlets and collections. Submission guidelines can be found here. 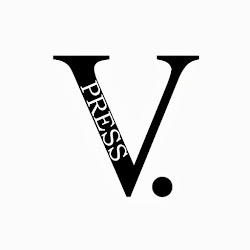 Please do take the time to read and follow them if you would like to be published with V. Press.